While I was on my sick bed there seemed to be a bit of drama unfolding about a certain collection from a certain well loved make-up brand. Apparently blogger favourite MAC had taken upon themselves to create a collection (one of about 30 this year no doubt) which was the baby of experts. Not experts in make-up development, not experts in make-up application, but experts in warbling on about what they do and do not like about make-up: bloggers. Now, I’m obviously a little bit biased here, being a blogger myself, but I think this is a great little idea. I think it’s great that the powerful house of MAC has identified that blogging is growing and consumers trust what their favourite beauty blogger tells them, faithfully rushing out to buy the product that’s recommended. I think it’s great that they’ve taken the time, energy and money to create something a little bit different that will no doubt be posted on every beauty blog this side of Venus. The cynical side of me thinks it’s a massive marketing ploy. Remember the whole Rodarte thing in 2010 and how impactful angry bloggers were then? Remember how MAC didn’t really address the concerns or ease the situation particularly well at the time? Well this, in my opinion, is that apology. It’s the white flag. “We’re sorry, we know how important you are, so won’t you totter along and create your own shade of lipgloss?” It’s their way of getting back in the good books (albeit a little dramatically) of the people that probably create a large proportion of their sales. They’re clever those MAC people, they really are. There’s also been a lot of moaning and groaning from MUAs about how bloggers shouldn’t be involved in make-up development because they don’t know they’re stuff. Well, I’m sorry Mrs MUA, I have to disagree. I may not know how to create a smokey eye to rival Kate Bosworth, but I know what I like and I know what works well. Once you’ve tried as many eyeshadows and lipglosses as a blogger has you begin to know your stuff, even if it’s not technical or requires a degree in Cosmotology (is that even a word?) That’s where the lab experts come in. That’s their job, not ours. They were there to guide the nine lucky bloggers every step of the way, developing different shades, textures and results until the final product was exactly what was wanted. (Temptalia has a detailed overview of the process so make sure you take a look.) It seems like a natural progression to me – if Cheryl Cole can have her own eyelashes, Paloma Faith can develop her own lipstick, even Alexandra Burke can put her face on a can of deodorant, then why can’t I have my own nail polish? What do you think? 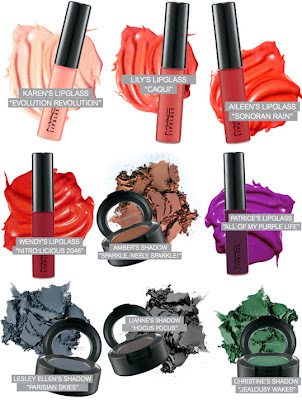 If you were to develop your own make-up product what would you choose? PS – the collection is only available in the USA and launches this month. Seems a bit silly that it’s only available in one country when the whole point of blogging is that it’s global. I think it's really cool that these lovely bloggers got to work with MAC. But I don't agree with this being the millionth collection MAC is releasing this year alone. It should be a special edition with lots of promotion, but I have barely heard anything about this collection and I don't think many of us will be spammed with stuff about it either. If they REALLY wanted to thank their bloggers, they could've easily selected popular bloggers from all over the world and retailed this worldwide rather than just focussing on the American market. But then again one could argue 'better than not doing anything at all'. I work in marketing for a consumer brand myself, so as biased as I am, I think I have to say that as long as there are people out there who want to buy the product, why not let them?I understand the frustration of makeup artists that the development of these products has been put in the hands of people with limited technical expertise. But in fact the bloggers were only there to provide the vision and the guidance. In actuality this is simiar to how new product development works already with many (if not most) consumer brands. Usually it's the responsibility of marketing (who may have very little technical expertise) to come up with the idea/concept/inspiration for a new product, and they will then brief product development (or even a factory) to create a product that meets that brief. Although the marketeer may not understand in a detailed way how to create the product, he/she is there to ensure that the finished item will deliver against the needs of the consumer (or whoever is buying/using the product). So really I have no issue with bloggers leading this kind of innovation – in fact I'd have loved to be one of them! 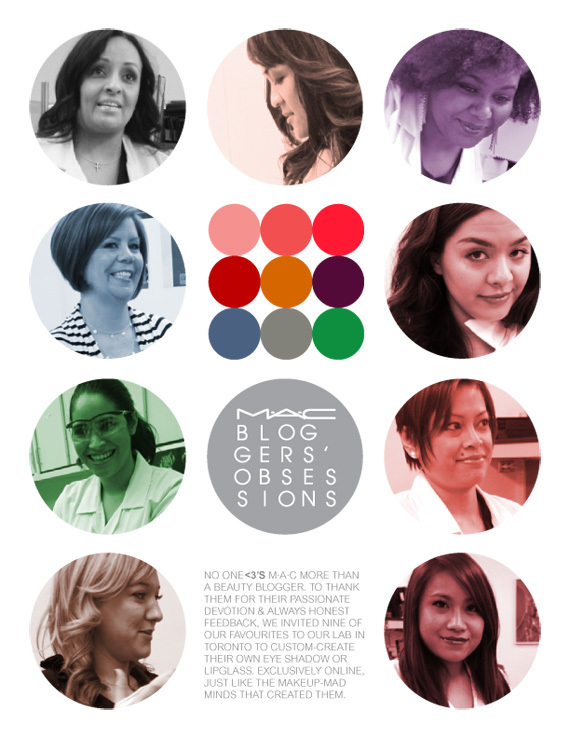 I'm really happy to see that such prolific bloggers got this amazing opportunity with MAC. I remember ages ago reading about Christine from Temptalia saying it was her dream to have a MAC range and now it has partly come true! I can understand why some makeup atrists may feel annoyed but to me it is only the same as celebrities putting their name and input into quite random products. At least this time the collaborators were passionate about beauty and will have tried vast amounts of products in their time. I think the collection is win win. A wonderful opportunity for the bloggers and a way to demonstrate the influence of ordinary consumers, plus a great marketing opportunity for MAC along with a ready made customer base.